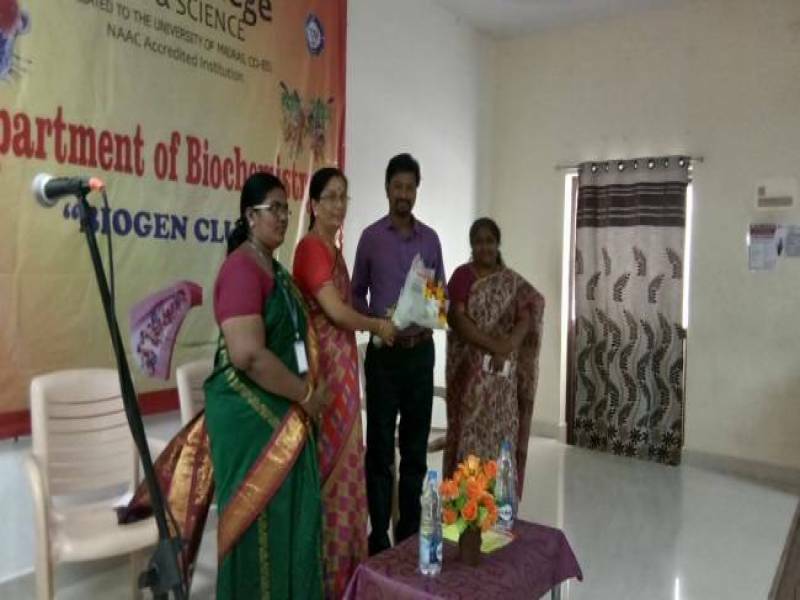 Department of Biochemistry through BIOGEN Club organised a seminar on the topic “Molecular Mechanisms of Dietary Trans Fatty Acids and Insulin Resistance” on 26th September, 2018 at Annai Violet Arts and Science College premises. 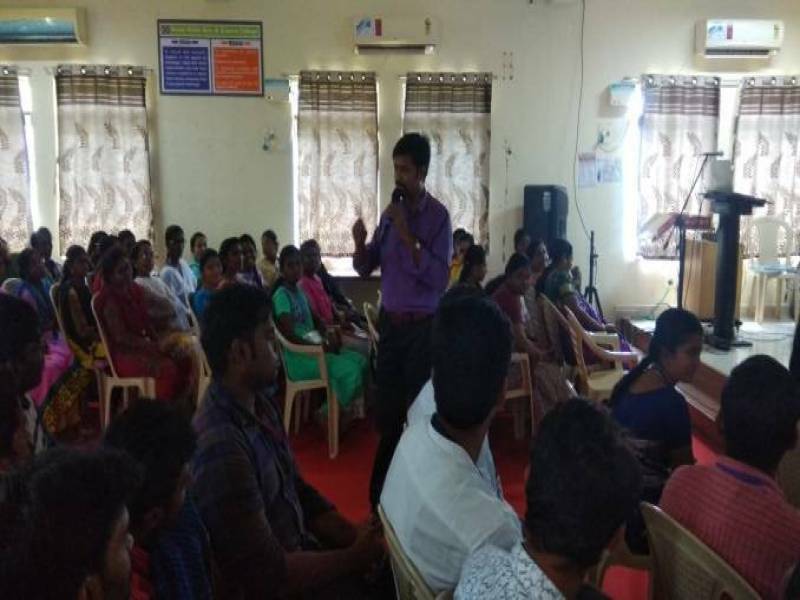 Chief Guest Dr. N.Saravanan, Dr. N.Saravanan PhD., Scientist ‘D’, Biochemistry and Clinical Pharmacology, NIRT, ICMR, Chetpet, Chennai – 31. delivered the lecture. He explained about the applications of Biochemistry in the field of research. Also he discussed about the effect of trans fatty acids in insulin resistance. 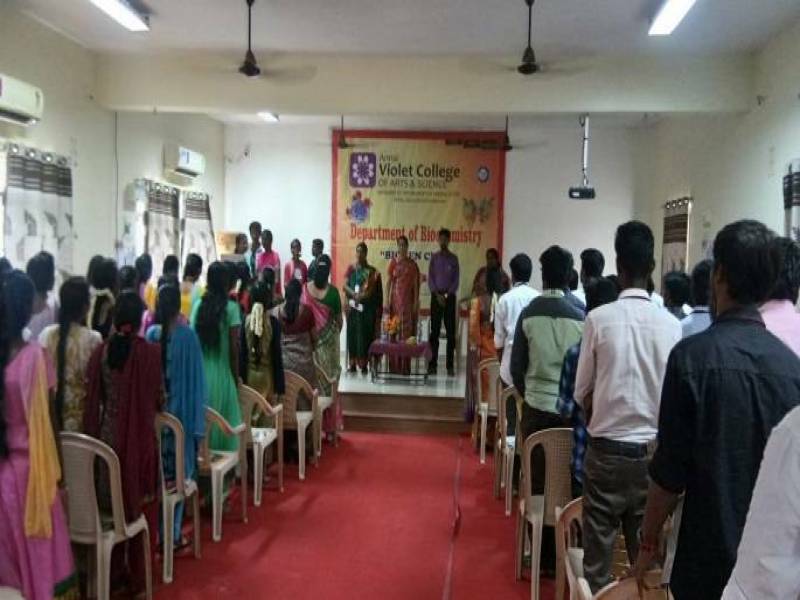 Students enthusiastically participated in the seminar and it was very informative and interactive.